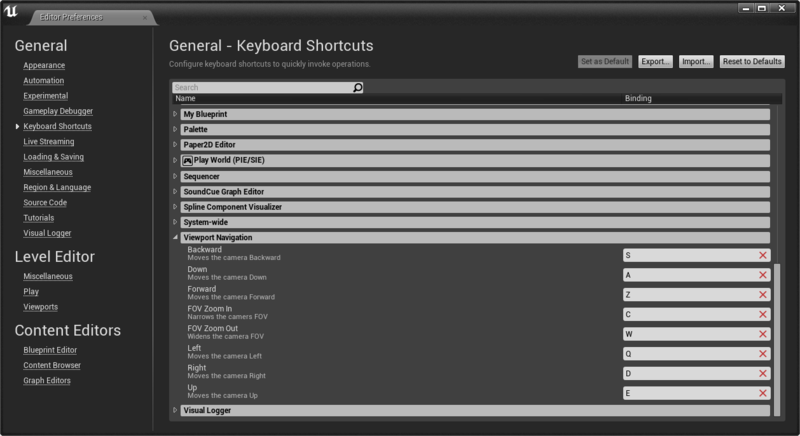 Is there a way to save any changes you do in the Editor preferences, especially for the viewport navigation as I use ZQSD (AZERTY keyboard) ? New landscapes created at 100 on Z axis? How To Set Default Collision Presets for BluePrints? Option for where to default your level save location?